In his two years as a Cub Scout, Trevor has earned 23 Belt Loops. That's at least a dozen more than fit on his belt, so rather than wear some and not others, he stores them on the Belt Loop Display that he made. Each time he receives a new Belt Loop, he brings the display down and rearranges them all. Sometimes he sorts by color, sometimes alphabetically, and sometimes by a method known only to him. I have no idea what his organizational system was for this, but I'm sure there was one. Trevor, like most Cub Scouts, is highly motivated by Belt Loops. He enjoys the activities to earn them and loves collecting them and showing them off. I recently told him that the Belt Loop (Academic and Sports) Program will be discontinued in May 2015. 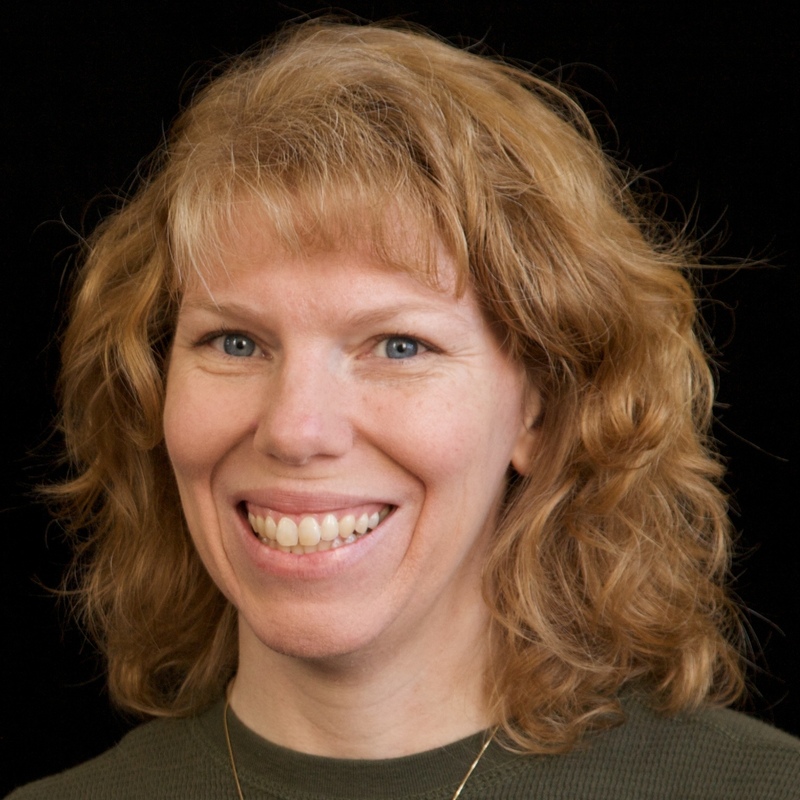 (You can hear about changes to the Cub Scout program on the June 2014 CubCast.) Trevor was, understandably, really disappointed to hear this. Even though the activities will be incorporated into the ranks, he still wanted to continue to earn the Belt Loops and complete his collection. Once he learned that he has only one year more to earn the rest instead of the three years he thought, he told me that he wants to work really hard now to earn the rest before it's too late. So we made a chart. 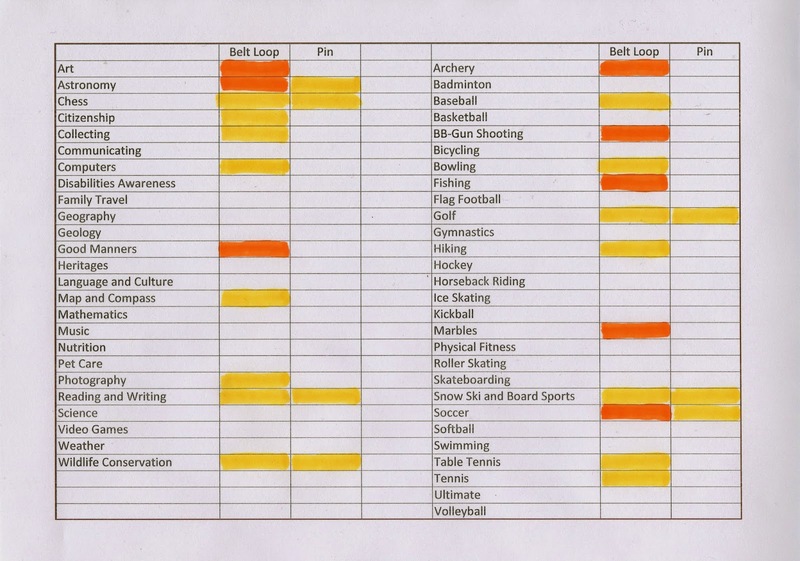 We listed all the subject areas, Academics on the left and Sports on the right. For each, there is a space for Belt Loop and Pin. Trevor started with an orange pen to color in the Belt Loops he earned during his Tiger (1st grade) year. Then he used a yellow pen to color in the Belt Loops and Pins he earned during his Wolf (2nd grade) year. He'll use light blue, the color of the Bear rank, to fill in any of the remaining Belt Loops and Pins he earned during this upcoming year. Once our chart was complete, we went through the Academic and Sports Program manual carefully, seeing what Trevor will have to do during the upcoming year to meet his goal. It's going to be challenging, REALLY challenging, but I think it might be doable if he is actually committed. He'll be earning a handful this summer from the two camps he's attending, plus his Den Leader has said that she's planning for the boys to work on several as well, so that will help. Stay tuned! my oldest is at cub scout camp this week and he is having a ball! My daughter was in Girl Scouts for 2 years and the leader wasn't very good at encouraging them to get their patches, so even though Madi has a few, she wasn't really motivated to get anymore...then she decided that Girl Scouts wasn't for her. Oh well! Wow!! Go Trevor!!! I know he will!! This boy is motivated for sure! I'm rooting for him from Singapore! Gooooooo Trevor! I love your chart Trevor and please keep us posted on what you are working on. I would love to try and duplicate the belt loop display! Can I get a list of the materials and where to find them? You can find the dimensions and materials in this blog post and the comments. Enjoy!